NOTE: If you have never specified a preferred Time Standard (UTC or GPS) with the Analyzer or Live Viewer, you will be prompted the first time the application is run. Please verify which time standard your organization uses and select the appropriate choice. This can be changed in each application's Options screen. 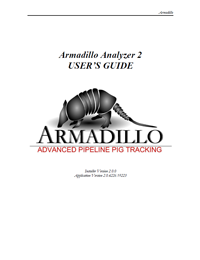 The Armadillo Analyzer is the software tool used to obtain and analyze data recorded by an Armadillo Timer Box (or AGM). NOTE: Version 2 of this software DOES NOT WORK FULLY with firmware versions 3.3.3.6 and earlier. Please ensure you are running the latest version of the firmware on your AGMs. If you need the latest version of firmware, please Request the Latest Version of Firmware. If you still have AGMs that are running on firmware versions 3.3.3.6 or earlier, you will need to use Version 1 of the Analyzer software. Version 1 is no longer being supported. 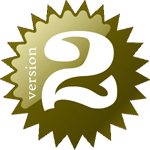 It is highly recommended that you upgrade your AGMs to the latest firmware and then upgrade your software to Version 2.